Now the Curmudgeon trespasses into the world of export, global finance, and trade. Boundaries obviously mean little to him–should they mean much more to you, our community economic developer? Is export more risky than often portrayed? Plus an added feature–how have the Fault Lines of Global Finance brought the United States into the New Normal? How did forty years of stagnant wage and income levels lead to the accumulation of massive amount of debt that made financial collapse unavoidable? In an earlier, much earlier, review we argued in favor of something called the New Normal by Mohamed El-Erian. The New Normal could also be a synonym for “New Globalism”. The thrust of El-Erian’s New Normal is that global transformations lay at the root of our current economic malaise and jobless recovery. What’s more, the New Normal argued that, hold onto your chair, this malaise and slow growth is likely to be around for quite some time. Still, as the old man Curmudgeon reads his daily newspapers, he is overwhelmed by the fixation we have on old-style domestic, pre-2007 golden years and how oblivious we are to the New Normal. There still seems to be a mentality that the world has to adjust to us. If El-Erian is correct (and so far he’s been remarkably accurate), that is simply no longer the case. We are not insignificant flotsam, the Curmudgeon is not arguing that, but global inputs, particularly from the developing world now matter a great deal in our affairs and economy. Yet, we pay them relatively little mind. This lackadaisical respect for affairs foreign, the Curmudgeon suspects, penetrates and permeates our economic development strategies and advice. The globe is at our beck and call we seem to think, and it represents nothing but opportunity. These, in our view, are simplistic notions which hugely disregard international complexities and risk. In looking at global trade and finance so simplistically and optimistically we reduce our effectiveness and expose our profession to charges of dilettantism. For evidence to support our perception, we do often see in the professional literature the word “globalism” tossed around as if it were a magic force and power–creating good (seldom risky), but something largely undefined and vaguely mysterious. Dare the Curmudgeon say, has globalism become just another buzz word. For example, export, especially for small manufacturers and technology-based firms, is a core, knee-jerk, strategy for economic developers. We gotta get them to export more; look at all the opportunities they are missing! Export more and more is a constant mantra in our professional literature and Think Tank reports. But what does this foray into exports really toss our firms into? Is it cold out there in that cruel world? Just because a firm is in technology and manufacturing does it automatically mean it has the capacity, resources and CEO resilience to deal with the adventures of globalism? There is a lot of risk for these firms and it seems to the Curmudgeon that if we want firms to venture abroad, the onus is on us economic developers to better understand what globalism entails so we can be more than a cheerleader (or if we are wrong, a funeral director). Export involves more risk than we realize because we, as America-based economic developers, are spectacularly unaware of what lies across those blue seas. If export is not always the wise thing for a firm to do, is it appropriate as a general strategy for local revitalization? Shouldn’t we economic developers better understand this global system, especially this global finance system, which we so blithely ignore. What is the Basel II? What do you mean there is a Basel III in the works? Who cares? What is this Transatlantic Agreement we hear so much about (sarcastic here)? Accordingly, in this review we want to flesh out a couple of fundamental complexities and perils that accompany that simplistic, child-like label “globalism” and the export (as well as foreign direct investment) mantra that we peddle in our presentations. We also confess to a second purpose in writing this review. Global transformations interweaved themselves into our domestic saga–that is what created our New Normal. El-Erian, writing so very long ago, concentrated more on how the global finance system fed into the 2008 Finance Crisis than why the global finance system triggered the collapse of our domestic financial system (which then brought down the international finance system). We are interested in acquiring a deeper understanding of how the global finance system triggered or magnified the disruptions and failings of our domestic economy. Was there something really serious going on domestically that played into our domestic financial collapse? Is there something we were doing, that maybe we are still doing, that brought us to the brink of ruin? So it is with great pleasure that we announce our review of Raghuram G. Rajan’s, Fault Lines (Princeton, Princeton University Press, 2010). Rajan presents a tale which deals with both our two goals. He describes the global finance system, how it interrelated with our domestic economy, and how the weaknesses, fault lines he calls them, of the international finance system triggered our financial collapse. What’s more these Rajan fault lines are still with us. Fault Lines are built-in attributes of the finance and trade system. One does not repair or reform them–they exist as part of the system. Who is Rajan? He was the Chief Economist for the International Monetary Fund (2003-2006). He is now Distinguished Professor of Finance at the University of Chicago. One of his claims to fame is that in 2005 he was asked to serve on a panel at the Jackson Hole, Wyoming elite economist conference. His comments reflected on Greenspan’s policies as Federal Reserve Chair (he was in attendance). His presentation, “Have Financial Developments Made the World Riskier?”, essentially predicted the collapse which began in 2006. He was almost ostracized from the economics profession, and was seriously attacked by several who now are publishing best seller books–blaming one thing or another for the collapse or calling for different solutions. In 2010, Fault Lines was awarded the Financial Times Business Book of the Year. 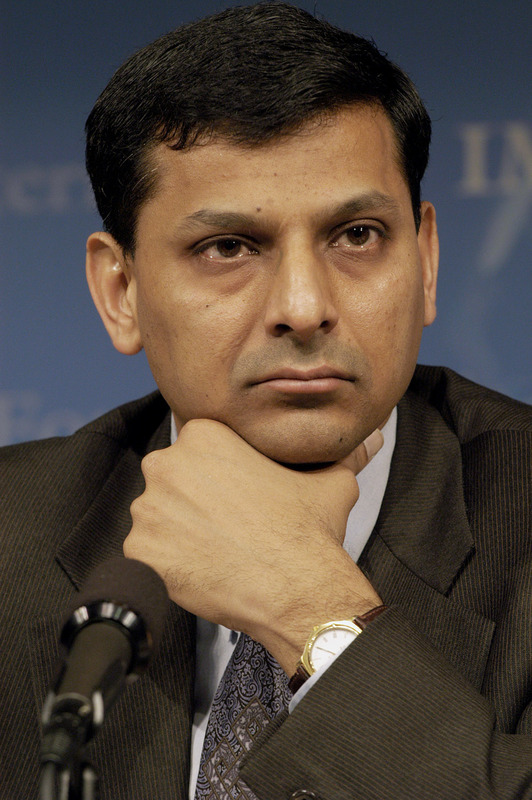 For those economists still with us thus far, Rajan is a card carrying member of the Chicago school of economics. [As a reminder, this review is a précis. We are consciously using Rajan’s words and phrasings whenever we can. We do not insert quotes in every instance to improve readability, but the reader should understand we are lifting his sentences, leaving out others, and rephrasing still others. Comments and elaborations by the Curmudgeon are almost always identified or enclosed in brackets [ ]. Again, Rajan’s message is chiefly his own words or expressions, condensed and combined in a hopefully readable and accurate fashion]. There are deep, dangerous problems lurking in global finance. These problems are to a large degree inevitable and non-fixable. They are problems you ought to understand and simply must live with. Rajan calls these deep, almost natural fissures, fault lines. The ordinary non-financial person is not likely to be aware of these fault lines because he or she does not directly deal with the workings of international finance. Rajan wants to alert the non-financial reader to those stresses within the international finance system that are known to precious few other than its day to day professional participants. These fault lines persist and they are what led to the seven triggers of the financial crisis (see Part II below if interested in his take of the 2008 financial crisis). The fault lines created or magnified the triggers. The fault lines are ultimately what drove us down and shoved us into the current hell we call the New Normal. The fault lines remain poorly understood today. The concern with fault lines arises from the fear that, largely hidden from view, these financial inconsistencies and contradictions can draw us into largely unintended financial crises. throwing us into the pit, over the cliff and into the abyss [I love stringing together lousy metaphors]. Unless these fault lines are better understood and hopefully repaired to some degree, we will either repeat some version of the crisis or find a new crisis to delight ourselves. In the meantime, it is best we recognize that our international finance system, that wonder of wonders, is fragile, potentially volatile–and full of complexities and contradictions that largely elude most. Before we discuss Rajan’s fault lines, let’s explain his metaphor so that we are all on the same page. 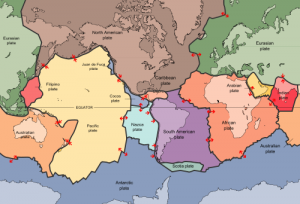 Fault lines are the meeting place of tectonic plates on which the continents rest. These tectonic plates continually move and collide with each other; the points at which they collide are a fault line (visually see the San Andreas fault line at the top of this review). 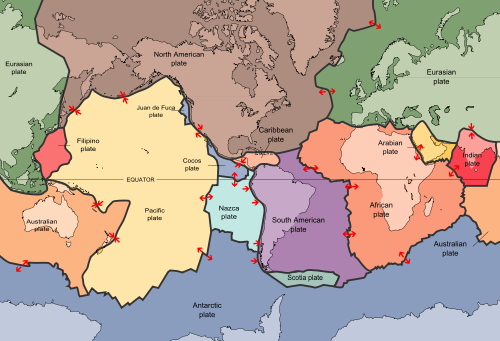 These fault lines are where we get earthquakes, tsunamis, and volcanoes. One doesn’t “fix” a fault line. But if you’re going to build a house, it would be wise not to build on top of a fault line. The international finance system inevitably rests on financial fault lines. These fault lines will sooner or later produce financial crises, i.e. so to make an obvious point— the international finance system is inherently unstable. We suffered through a financial collapse in 2008. Rajan’s unspoken fear is that we will have another in relatively quick order unless we appreciate and understand the fault lines and address as best we can the friction and disruption. The reader should also remember, a financial crisis is NOT a recession; a financial crisis causes a recession (or worse). One financial crisis can cause several sequential recessions. A financial crisis is a massive heart attack–it can kill nations, and force political change; recovery from financial collapse, always problematic, can take decades. The 2008 financial crisis shoved us into the New Normal and still keeps us unsafely within its confines. Rajan sees three major fault lines. The first, and probably most important, Fault Line stems from domestic political stresses that exist in each nation. This fault line is the most obvious, and in many ways the most important. Every nation has its own set of problems and things going wrong. When one exports into a nation one steps into these problems and they become your own (i.e. the exporting firm has to cope with these problems). A small firm exporting to many foreign nations has a lot to learn. 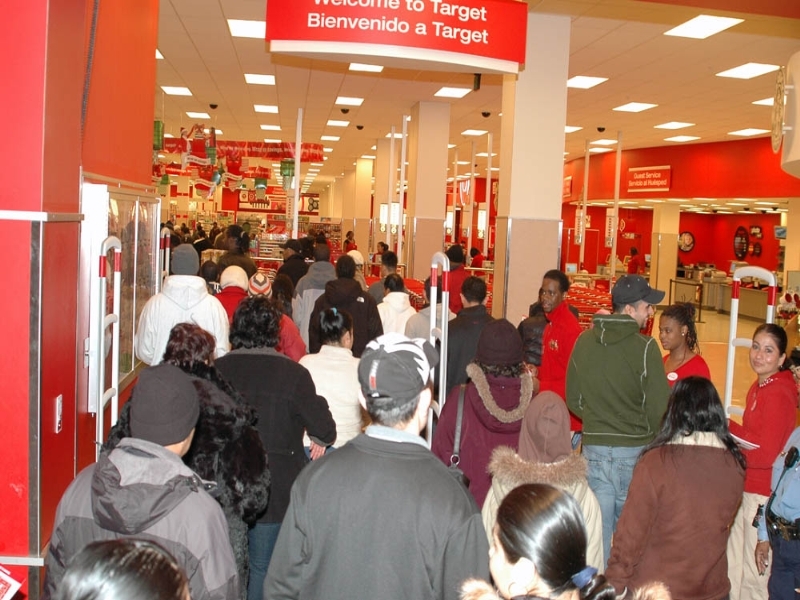 Large multinational firms have entire departments and experts and develop coping strategies. Small firms are on their own. The more different countries a firm exports into, the more problems to stay on top of. Rajan deals exclusively with his definition of the key domestic stress-Fault Line in the United States: inequality, stagnant income and wages and the “throw debt at it” electoral solution devised by politicians. The second fault line arises from trade imbalances between developing and developed nations. This was a key point in El-Erian’s New Normal. The trade imbalances frequently result from unintended consequences flowing from nations which have embraced an export-oriented trade and finance system trading with nations that have adopted a domestic consumption-driven trade and finance system. In the short term all is well, but over time the export-oriented system stalls out and reaches a ceiling and in a desperate effort to continue to grow begins to invest in other nations and, if both sets of nations are not careful, magnify unintentionally domestic fault lines and make them worse. In essence, Rajan argues that unbalanced export and consumption-based growth models can and do create instability and potential disruption. The third fault line occurs when different kinds of financial systems (capitalist (several varieties), socialist, state-capitalist, communist, and dictatorial) try to finance these trade imbalances and accommodate foreign investment into their economy. Different financial systems operate on different principles, using different economic structures, accounting systems and can easily involve different types of government intervention. When the different financial systems come into close contact they can cause internal distortions and “bad” failure-prone financial arrangements as the various features do not operate normally and create unintended behaviors and effects. As for an exporting firm, there is no one “foreign nation” system to learn; each nation has its own financial structures, criteria to lend, financial statements, tax systems etc. The amount of time it takes for a CEO to figure all this out is no small matter and certainly necessitates a “team” approach to exporting. So let’s take a gander at each of these three fault lines to discover just what is behind each of Rajan’s three curtains. Rajan asserts that the single most important domestic stress (at least as far as the international finance system is concerned) for the United States is income and wage inequality. It probably is no secret to our readers that income, especially for the middle and lower classes has been pretty sticky for quite some time–decades in fact. Rajan cites data that asserts the top 1% of households accounted for about 9% of income in 1976, but almost 24% by 2007. [Insert outrage here!!!]. The “1% ” phenomenon is one thing, but Rajan constructs a second measure of inequality; the 90-50 ratio which he believes is more revealing. The 90/50 ratio pinpoints the real problem which is not the 1%’s wealth, but the sad reality is that everybody else is falling behind. Instead of simply assuming the 1% stole your money, Rajan turns the question on its head and asks why the great majority of us have gone no where financially for the last fifty years. Anyway, the 90-50 ratio divides the average wage of a worker at the 90% percentile with the average wage of a worker at the 50th percentile. Incomes at the 90th percentile are upper class professionals, business owners, and key corporate executives; incomes at the 50th percentile are usually normal workers, factory workers, teachers, nurses, senior office assistants, police, fire, salespeople etc. Applying the 90-50 ratio, Rajan observes that the 90th percentile has been growing hugely for four plus decades and the 50th percentile has been essentially stagnant during that period. In essence, the inequality in our system is not just the infamous 1%; 10-15% of our society have done quite well for a heck of a long time. Some of our higher paid economic developers could possibly be included–certainly the economists whose books they read would. 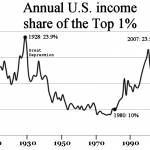 For the great masses of us, we, since the seventies, have had stagnant or depreciating incomes. 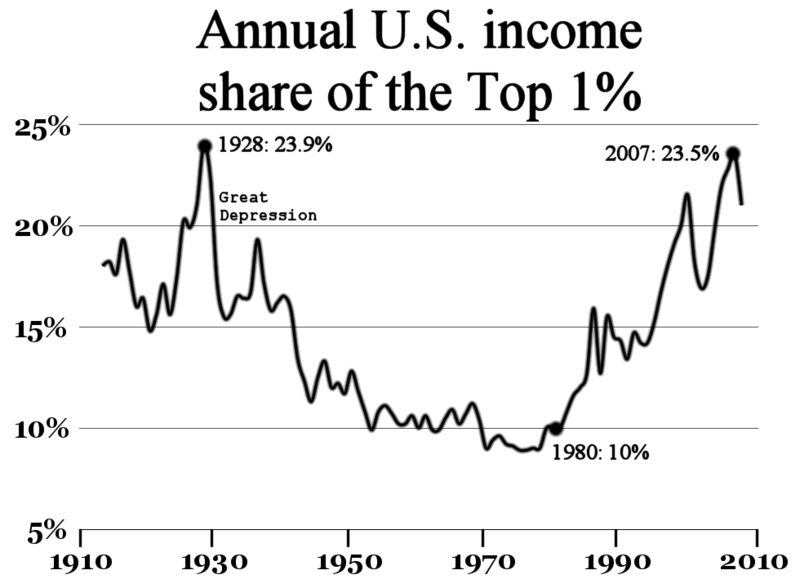 George Bush (either of them) did not cause this, neither did Reagan–this inequality has persisted since LBJ-Nixon. For God’s sake, why did we let these people, this rich, six figure, upper class do this to us? Who’s Fault Is This? [notice the brilliant play on words]. Rajan’s answer is we did it to ourselves by getting an inferior education. So the middle and lower classes of the United States have endured chronic job insecurity and stagnant paychecks for decades. This has put enormous pressure on American politicians who have to get elected by these losers; the losers after all are a majority of voters in any election. To get elected politicians found a way to sublimate [maybe anesthetize would be a better word] worker and middle class inequality and insecurity. How? The key to consumption and consumerism is low interest rates and interest income tax deductions which permit households not only easy access to credit, loans and mortgages, but governmental incentives to do so. Enabled by low interest rates, households built up a steady mass of student, mortgage, auto and vacation DEBT. Instead of saving for retirement, many in my generation and younger generations built, and are building a sound foundation of debt to support their retirement years. In any case while all this debt was being amassed, jobs were created, goods and services were produced and the contentment [pacification] such treasures brought to us were enjoyed. Few of us felt victimized by a stagnant income, fewer still were even aware of it. So long as we all could buy cars every couple of years, purchase expensive and big homes, go on semi-annual vacations and didn’t save for the kid’s college because it became financab;e through student loans and government guarantees–it all worked very, very well. It was a very good life, indeed and the voters voted with a positve frame of mind. As to what caused this inequality, Rajan believes it is a failed American education system (at all levels). To Rajan, this is America’s most serious domestic stress and he spends considerable effort and ink to demonstrate education’s inadequacies. Those who receive a good education can compete wind up more competitive and affluent. Those who do not successfully acquire the skills work in the more stagnant sectors. It is to ensure their quiescence of those in stagnant income occupations that the American politicians have resorted to cheap credit and delusional consumerism. Those that were in high income occupations got an added boost from government debt and made even more money. In essence, the post-2001 subprime housing bubble was simply the last in a long line of consumption stimulus designed to head off the looming inequality crisis. All this easy money was just fodder for a “sophisticated, competitive, and amoral financial sector” (p.9). [You know, “the devil made them do it”]. All those fat cat and greedy capitalists didn’t create the mess, they were the last to figure out ways to profit from it and in so doing they took the financial system over the cliff. If you think the first fault line was cool and awesome–shoot a quick “selfie”, because here comes the second! Obviously, the first fault line produces debt, lots of it. 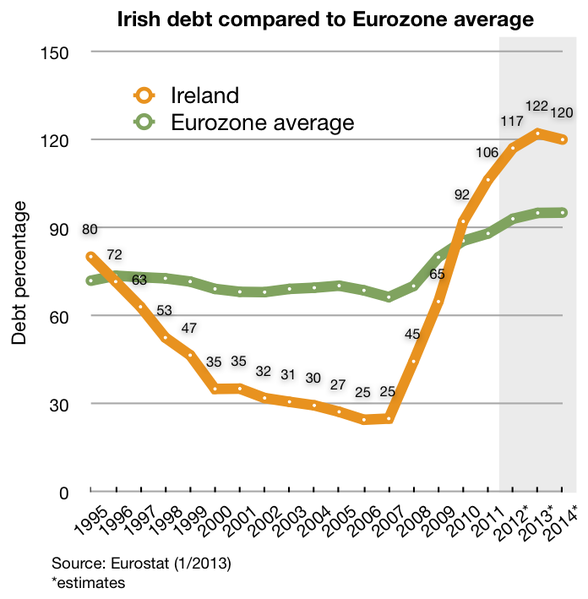 Usually, debt-induced financial crises cause a national financial system collapse. Debt eventually causes inflation to which central banks increase interest rates and this brings on a recession. 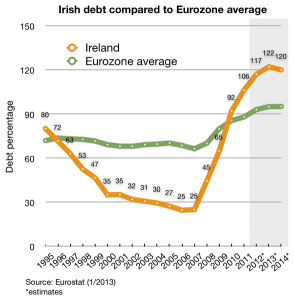 Debt induced financial stress is therefore self-limiting–it does not extend for decade after decade. But this was not the case with the United States. We accumulated debt for more than three, almost four, decades. What gives? Enter fault line 2: The Complicated Intersection of an Export-Driven Economy with a Consumption-Driven Economy. First, let’s see how the profits made by export-driven economies affect the consumption-driven economy of the United States. “Through the late 1990’s and the 2000’s, a significant portion the increase in U.S. household demand [debt] was met from abroad, from countries such as Germany, Japan, and increasingly, China, which have traditionally relied on exports of growth and had plenty of spare capacity …” (p. 9). In other words, many nation’s were exporting so much to the United States, they were accumulating so many American dollars they literally didn’t know where, or what, to what to do with them. Since the United States imports a lot more than it exports, our debt and purchases was income to many developing nations. The more in debt we were, the richer they became. Not too shabby from their perspective–worth putting up with an ugly American or two. The real problem, which is not obvious at all, is why were these countries exporting so much? The answer is these developing nations make a conscious decision to develop their economy through export–producing products and selling them to foreign consumers. They did so because their previous model of economic development collapsed during the 1990’s. They had their own need for national growth to catch up with the developed world, and so they turned to an export-driven model and began selling their goods to the likes of the good old USA. So why should we care about somebody else’s export-driven economy? The burden of an export-driven economy is borne by their small business and consumers. No doubt, efficient, competitive exporters are a valuable component of any local or national economy, but too often, export-based economies find it necessary to protect their weak, neglected, undeveloped domestic services sectors. Accordingly, export-driven economies tend to set barriers and legislation (sometimes cultural “customs” as in Japan and China) which shield their domestic-oriented sectors from foreign competition. These protected domestic sectors tend over time to become more inefficient, “fat”, lazy and comfortable–and small–too small to compete in today’s world. Growth in these protected domestic industries declines relative to the export-based industries. [They become stagnant and using productivity, they employ fewer workers at a lower wage to generate whatever return on investment they can]. Then growth in these industries just fades away–especially during adverse times in a business cycle. If these export-driven nations desire sustained and consistent growth (and they cannot get any help from their domestic sectors), then it has to be driven completely by the export sectors. But exports and export-driven economies are deeply affected by forces the average citizen and consumer seldom sees directly. The reality is that export is hugely affected by currency rates, commodity prices, transportation logistics, natural disasters, unstable governments, business cycles–and surplus of exports and product saturation. Build it and somebody might not buy it. Export sectors are also hugely competitive and sustained national or firm advantage is very hard to maintain (look at Nokia, Microsoft, Canon and maybe even Apple). Just how many cell phones, houses and cars can they sell to America? And American consumer tastes are so fickle; no sooner than an exporting nation buys an American beer distributor than we switch to drinking wine. In fact, the best growth catalyst for a nation in this condition is the inflation caused by its spiraling debt chasing too little production. Because periodically crazy debt levels get scary, and inefficient firms which take a lot more stimulus-debt to produce an unit of growth, push these nation’s once again try to juice up their export sector as a cheaper alternative–but with decidedly uneven and mixed results. 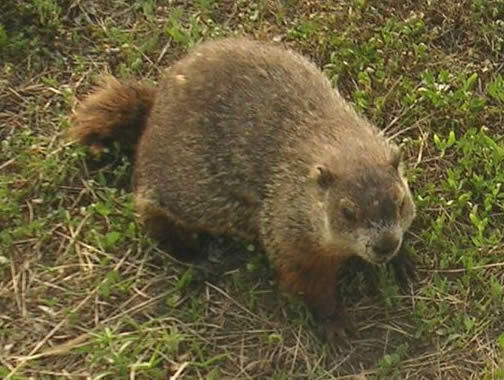 [We may have yet found another Alice in Wonderland type world]–in other words a really fruitless treadmill, Groundhog Day (movie) weird world–like the one we are in now. The bottom line of the second fault line is that the tension between and within export-based and consumption-based economic systems creates an inherently volatile global trade system. American exporters, for instance, cannot penetrate/sell their products to the weak domestic consumption markets of an export driven economy because of protectionism and inefficiency. Export-driven nations eventually reach a ceiling where additional investment no longer generates more export sales and their economy stagnates and without reform risks failing. Export-driven nations, based as they have been on export and fat inefficient domestic sectors, slow down, and wait their turn in the demographic age lottery. The third fault line is one that you and I would never in a million years have noticed. It is far removed from our daily and professional lives that we would seldom ever become aware of the problem at all. You have to be in “the system” so to speak to see it and realize how important it is. That is Rajan’s advantage of having been the Chief Economist for the International Monetary Fund. The issue is not really complicated. Simply put, each nation has put together its own financial system. 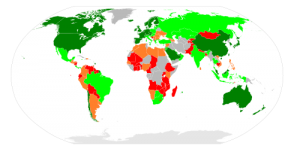 Developed nations tend to have financial systems that are reasonably transparent, governmental regulated, arms-length dependent on property law which has a long record of enjoying support from courts and government. There is due diligence, debt monitoring, and recourse to the courts and law in the event of default, non-payment of contract violation. All these great and good virtues of developed nation’s finance systems are often not found in equal measures in the emerging nations–on who we are now dependent in various ways and are most certainly key trading partners. The weaknesses of emerging financial markets are not the best kept secret. International capitalists, even in the 1999’s and before knew that emerging market financial systems were not precarious hooks on which to hang your capitalist hat. Logically, not being totally stupid, they figured out ways to minimize their risk when they dealt with these emerging nations. First, they do not lend money for a long-term; short-term loans are the usual fare. What is not paid off in one short-term loan is rolled over into another short-term loan. That means emerging market debt is never more than a few years old and any loan is in constant threat of not being renewed if things are going south in that nation. This is real sword of Damocles [look up that metaphor yourself]. Could someone please explain this graph to me? The second risk reduction technique is to make the loan (or at least payment on the loan) in the foreign currency. This minimizes the risk of inflation and currency shifts, manipulation-speculation, and devaluation. Loans are typically made through, and with, the banks of the emerging nation. To the extent that these loans default, it is quite likely, maybe close to inevitable that the emerging market government will have to step in so that the nation’s foreign exchange and trade is not destroyed. Implicitly then, lending in volume implies some level of government guarantee. Individual firms do not have this advantage. The problem with these techniques is that no loan is an investment and every loan is short-term and potentially partly guaranteed by government. That means due diligence, really understanding why and to whom you are making a loan, is not very important. As long as payment is made you are fine. If required audits are not required and nobody validates that assets used for collateral actually exist, then it is safe to say that these loans finance activities that are poorly understood, and offer the potential for being little more than shell games and pyramid schemes. [The Curmudgeon has lost money on Chinese firms listed on the New York stock exchange that turned out to be little more than shell games–and has shorted others and made some money–once on the very same company. He broke even.] The point in all this is that the financial systems of the emerging nations cannot be assumed to fit the lending needs of the latter nor result in profitable investments for the former. 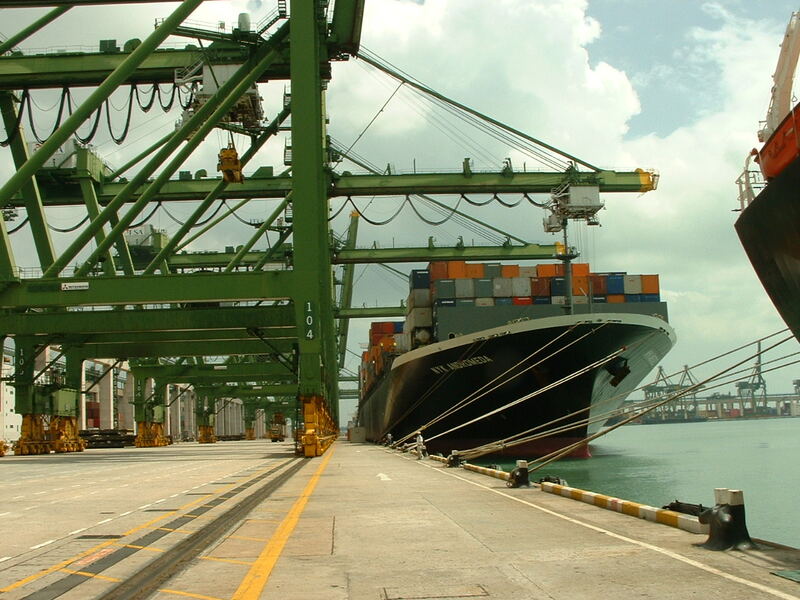 Our export-oriented firms have to contend with all this–easier said than done. [Recent events reinforce the risks of lending across financial systems. Those that invest in stocks know that one had better be wary of trading in the Chinese stock market. Owning firms in Russia has historically been a real basket of joy in that Putin has been known to steal more than Bob Kraft’s New England Patriot Super bowl ring. India is now alleged to be corruption personified and Brazil will tax the crap out of you and threaten to nationalize your company. So much for the BRICs–the best of the lot. And did we mention that things haven’t been going all that well in the developed nations? Those of us who do not directly work in international finance at best read about these mismatches. We tend to simply assume that all this stuff is worked out in advance and overall the system seems to work–at the least everybody seems to be paid and we go merrily along. 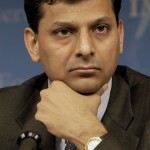 Rajan is more worried than us that this “system” can continue much longer. Worry wart that he is, he is concerned. Not that we should worry that the former Chief Economist of the International Monetary Fund is a bit edgy! OK, so this is the Curmudgeon speaking. Let us step back a moment and look back at the global finance system which resulted from these fault lines. Without realizing it, we (the United States) relied on a global finance system in which the developed nations exported to each other, but relied more heavily upon less developed nations (the so-called BRICs–Brazil, Russia, India, China, for instance) that were pursuing an export-oriented trade and finance system model. These developing nations had undergone a series of crises in the 1990’s which led to their adopting these export-oriented trade and finance systems. Before the nineties these emerging nations ran trade deficits. To finance these trade deficits, emerging nations had to borrow from the world capital markets (most of which were developed nations). In the 1990’s this stopped because the emerging nations had borrowed so much that several defaulted on their debt and became international finance basket case with crushed domestic economies. The other emerging market nations anxious to avoid default switched their economies away from import-consumption and developed instead their export sectors. In other words everybody was now exporting and there were considerably fewer import consumption nations (like the United States). Those emerging nations sent their goods to us and following our consumption-debt fueled finance model and we consumed their exports with great relish. That’s why the “bubbles” began to occur in the United States and the debt and inequality situation while still in hand began to go on steroids and become one unstoppable bubble after another. This is the fault lines in action. To grease their new export oriented economies, emerging nations often adopt policies which result in their having an “undervalued currency”. 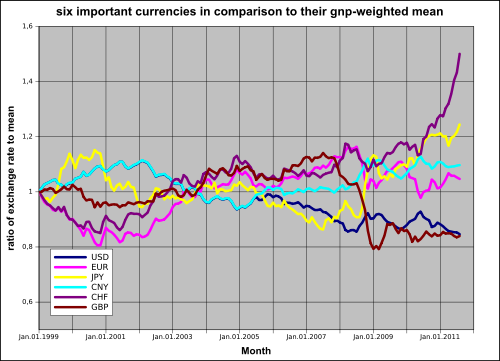 Over valued currencies make exporting more difficult and vice versa. By the end of the 1990’s emerging nations “turned from being net importers to becoming net exporters of both goods and capital” (p. 13). Since 2000, there has been a glut of exported goods and services–which, logically, affect their price and profitability. When consumers in other nations buy their exported goods and services, the exporting nations accummulate great amounts of foreign monies which become “foreign reserves” (the importer’s local currency). Much of these foreign reserves can be “trapped” and some mechanism has to be found to put these foreign monies into good uses in order to generate further growth. 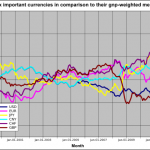 What to do with all this “local currency” is a real serious problem if the exporting nation wants to keep its own currency undervalued [if they exchange the importer’s local currency for their own currency, they drive up the value of their own currency–stay with me now, this is not all that confusing]. So, among other solutions, the exporting nation will use the local currency to acquire assets in the importing nation-what we call foreign direct investment. That is why Budweiser beer is foreign owned (Belgian-Brazilian). From the consumption-oriented nation, however, these newly acquired foreign assets are now beyond their control and exist at the will of the foreign corporation or national sovereign bank. Obviously, being a net importer (as we have long been for decades and decades), the United States has some serious disadvantages. One of which is that foreign nations can buy our productive assets, including manufacturing and export-oriented assets. We have the jobs–for the time being at least, but ultimate decision-making is located outside our borders. And, if we are buying imports with money borrowed from somebody or with government debt, we are simultaneously going deep into debt and losing control over our productive capacity. That probably isn’t especially good. 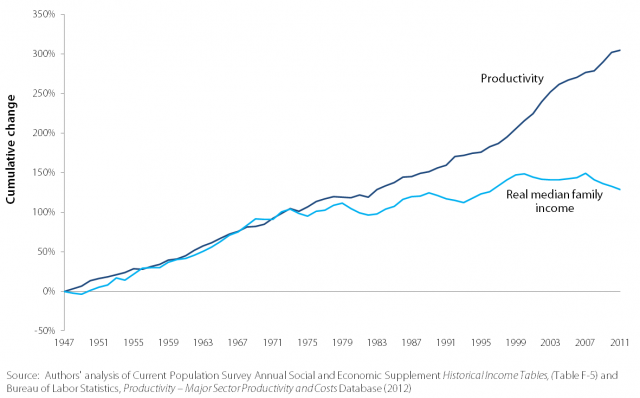 [The more stimulus, the more the debt, the more the imports, the greater the potential loss of productive capacity. This might not seem the best way to run an airline, but that is what we have done, and what we are doing at the moment. We are not in a recession, in fact just the opposite–we are one of the few economies that is actually growing (about 2%-trying for 3% or so annual rate). We are also between normal government deficit (about 900 billion annual) and QE2 (the Federal Reserve mortgage bond-buying which currently is $85 billion per month) running about a $2 trillion dollars a year stimulus-deficit-debt. The international finance system is fragile, with very serious fault lines that will never go away. Rajan’s definition of relevant fault lines are clear and reasonable: (1) country-specific domestic stress issue(s): income inequality in the US? ; (2) inherent weaknesses-incompatibilities of an economic growth models, export-driven models, in particular; (3) and internal incompatibilities (structures, practices, laws, accounting systems) between different financial and political systems which inhibit a successful meshing and cause unanticipated consequences. An awareness of complexities is important to an economic developer making decisions on if, and how, the international finance system can affect them, their firms, and their community. These complexities are too often swept under the rug by optimistic advocates of one strategy, perspective, or approach to economic development. For instance, we may blindly go to an small manufacturer and urge her to export. We should be much more sensitive of the volatility and complexity which lies beneath that advice. Also, it may inspire the reader to become more aware themselves of the nitty-gritty behind the admonition “export, young man”. We ought not become paralyzed and afraid to work with export. That is not what the Curmudgeon intends. But, an educated economic developer is a more effective advice-giver. Economic developers, and the literatures they read, tend to be very broad stroke and Pollyannaish. We are, at root, no matter what our ideological persuasion, to be prone as a profession to boosterism, fad-strategies and tools, and magic bullet solutions. Judging by much of the professional literature I read, we like things simple and optimistic. Have you ever read in our professional literature of a program that failed? Rajan and his complex multiple fault lines are an excellent counter to all that. Using Rajan the economic developer can penetrate into a system’s fault lines and hopefully have an edge over the economic developer who seeks simple answers to complex problems. For instance, consider applying Rajan’s fault line argument in regards to the Federal Reserve’s monthly quantitative easing (QEII) stimulus of $85 billion which may be in danger of “tapering” off). The effects on our stock market and financial system are presently being hotly debated. But that is only the beginning–what are the effects on the emerging markets and those who export to them? But, if we add to the QEII-taper debate the realization that the QEII will have pronounced negative effects on the developing and emerging nations, our advice to exporters can be that much more useful and appreciated. The emerging nation’s economies are likely to slow down with a tapering of QEII. And some emerging nations are already adapting in different ways to QEII’s departure. As emerging nation’s economies slow down our exports to them decrease and our balance of payments, and currency, is adversely affected–resulting in job loss to America. There is much turmoil at the moment in our international trade system. This is because many emerging nations are switching away from an export-driven economy to a consumption-driven economy. This is all very new, no more than a year of two old. This has huge implications for American exporters–chief of which is a tremendous short term (say five years) volatility in trade volumes, currency rates, and commodity prices. These are big deals in international trade and finance. For example, the Chinese, our largest trading partner and single purchaser of our governmental deficit debt, are now modifying their export-driven growth system in favor of a more balanced consumer-export growth model–just as Rajan would like. They are slowing down their economic growth–and taking down the rest of the world with them. How is that going to affect all American and European firms that invested in Chinese facilities? How is it going to affect firms that export to China in the future? Should you, as an economic developer, encourage firm’s in your community to export to China? Questions come to mind like “should you provide incentives to a Chinese foreign direct investment into your community”? “How is Chinese FDI affected by any change in its export growth model”? All this export stuff is far too complicated to discuss in a tweet and, one wonders. should you continue to urge more firms to export unless you can work with them to understand some likely scenarios as to how they could be affected by all this? Any time you read a Think Tank’s call to export–think of all this complexity. As to Rajan’s three fault lines the first is, obviously, the one we can do something about. Rajan’s solution to American inequality is to reform our education system–he leaves it to the reader for the most part to fill in the details. That is a whale of a cop-out because the failures of our education system are pretty well acknowledged, and have been for some time. The solutions are another matter entirely. And the fiscal and monetary costs to fix education are still another matter. When it is said and done, we have not fixed our education system because there is no consensus as to why it is failing, never mind how to fix it or pay for the fixing. Let’s switch gears and now focus on Rajan’s explanation for why we (America) accumulated so much debt over the years. The Curmudgeon has a different take on why our acknowledged inequality has occurred. He believes a good deal of our inequality consists of a higher level of structural unemployment than most economists accept. 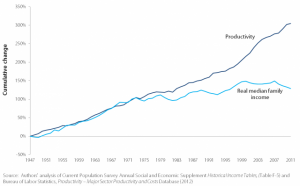 The Curmudgeon thinks the ultimate drivers of our structural inequality are (1) an overdose of productivity and a knowledge-based economy, and (2) a cultural transformation so deep and pervasive that education, in particular, can no longer be realistically reformed, and (3) an inability to forge a political consensus on virtually any public policy. That, however, is a topic for another month. He mentions his belief only to observe to the reader that Rajan has one take on inequality–there are others. It should also be kept in mind that there are other candidates for the charming title of “primary American domestic stress”, Many thoughtful commentators would trot out as substitutes for Rajan’s inequality: (1) increase in the size and role of government, (2) the greed, the fixation on short term profits and inherent immorality of the elite corporate capitalist sector, (3) a present-minded, consumption-obsessed economy and culture, (4) the existence of government and corporate collusion, and (5) a paralyzed and ideologically split political process. Each is not an unreasonable substitute candidate for being America’s most significant domestic stress. The Curmudgeon does like Rajan’s explanation, but he also likes others as well. Why do we have to choose just one domestic stress? In conclusion: there is a real tendency in our literature and probably our advice to simplify and be inappropriately optimistic. Problems usually result from multiple causes and stresses, and to focus on one, to the exclusion of the others makes us less useful to those we seek to assist. Complexity is, well, … complex. Should we simplify simply because it’s easier or should we assume the burden to better understand the implications and dynamics as a prerequisite to our economic development prescriptions? As an economic developer we are paid to understand and translate complexity to our communities. Hopefully, this long review is a step in that direction. If we get a better, more realistic handle on export, if firms that follow our advice and coordinated assistance encounter difficulty and, heaven’s forbid, fail–it won’t be our fault! After the dot com bubble burst in 2001, the U.S. economy slowed and the Federal Reserve went into overdrive, cutting interest rates. Instead of prompting business investment, the low rates prompted consumers to buy homes, raising housing prices, and leading to a surge in housing construction and speculation. As the housing boom continued, it eventually exhausted “conventional” buyers and additional demand to sustain the boom came from low credit sub-prime and Alt-A folk who now, for good reasons and bad, had access to credit. The rising home prices facilitated flipping and refinancing, both of which masked the reality– that mortgage payments and housing prices had reached beyond what many homeowners could pay. The income of many folks owing homes was underwater–before their mortgage was. In the midst of all this, more sophisticated lenders perceived the increasing risk inherent in the housing boom. To lessen the risk of mortgages, a new form (actually several) of security was devised. Securitization, the selling of pooled mortgages into the secondary market had been around for the better part of a generation, but in the secondary market the mortgage did not lose its identity–it was sold to another purchaser and the original lender serviced the loan for a fee. Post-2001, however, slices of hundreds of mortgage would be packaged and then sold to a purchaser. In this case a purchaser would own parts of hundreds of mortgages, but no one mortgage. Each slice sold usually involved more risk to the purchaser as they would be further down in the preference ordering in the event of default. The net effect was that each mortgage came to be owned by many different owners, many of whom had no real idea of what they owned (not infrequently the new owners were foreign). The homeowner had no real sense of the set of owners that “owned” pieces of his mortgage. Eventually “synthetic” mortgage products were devised which contained no real parts of a mortgage, but instead slices of the derivative mortgages. Enough said. The reader will be happy to know that all this still continues and exists–but in reduced volumes. If this new level of securitization does not trouble the reader, there soon developed a second “derivative” type: the credit default swap. This is an insurance like product which was constructed to insure each of the above mortgage derivatives. By purchasing a credit default swap, the purchaser of any of the above derivatives could “insure” their investment against loss. Interestingly, anyone (relatively speaking) could purchase a credit default swap–making a swap an instrument of speculation or arbitrage. Think about how secure you would feel if your worst enemy could buy a life insurance policy on you without your consent? All these credit derivative instruments were sold world-wide and it became possible for any nation (say China or European nations) who acquired a lot of dollars through importing to the United States, to purchase treasuries as well as derivatives. In essence, however, the American subprime housing boom became increasingly financed indirectly by foreign nations with surplus American dollars–and our American housing finance system was now global with big foreign banks and investors holding a ton of mortgages and mortgage derivatives on your home. The gravy train ended when the Federal Reserve finally began to raise rates which halted the rise in housing prices, which stopped the refinancing game, which meant that underwater income homeowners went into default, which drove down housing prices, which caused many existing homeowners with mortgages (25% or so) to go underwater. The derivative and credit default instruments imploded, banks like Lehman and credit default issuers like AIG went bankrupt or were taken over the U.S. Treasury, no one could pay any one and no one could figure out who owned what, or what to do if a mortgage went into default. And, by the way, we had the Great Recession–which is now long over. We have been recovering since 2009-as the reader is no doubt aware. Let the good times roll.